From 12, 1 should dribble entry to the wing (can be passed if need be). 2 must circle out to the top. Once 1 reaches the wing, 4 screens away for 5. 5 can wait for screen or go early depending on how defense is playing the screen. 5 gets to ball side high post and sets an area back screen for 2. 2 cuts hard off of 5's backscreen. If 2 does not get the ball, 5 must post up for the ball. 1 hits 2 if possible. Can run a high-low with 5 at the high post. 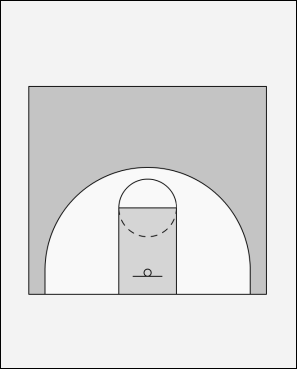 If not open, 5 steps out for ball reversal. 3 sets self up for ball reversal as well. 5 reverses to 3, who then hits 2 off of the screen from 4. 2 breaks off of 4's screen looking for baseline jumper. 4 seals her man baseline, and makes self available for 2 if she has no shot. * Play can be enhanced by allowing 5 to run a give and go with 3.